The company is also taking over GE's charging network. 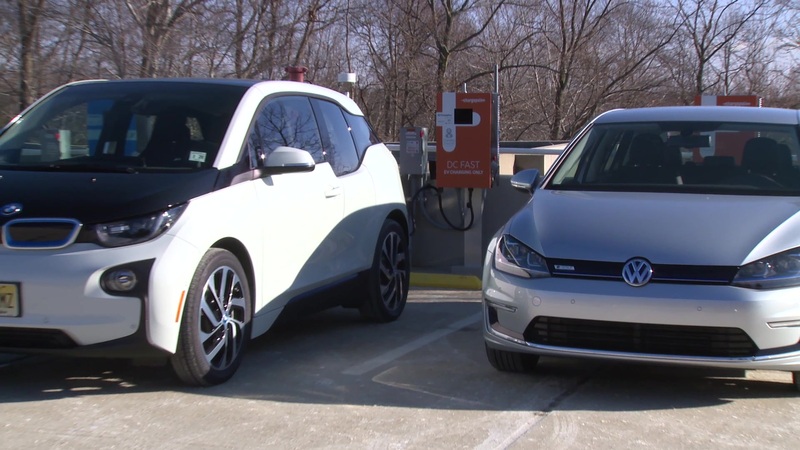 ChargePoint operates over 35,000 charging spots, and has partnered with the likes of Volkswagen and BMW to expand its network, which is currently the world's largest. ChargePoint doesn't show signs of slowing down anytime soon, either. The EV charging network just announced the close of a round of funding worth $125 million. Earlier in this round, ChargePoint announced that it had secured $82 million in funding led by Daimler (BMW i Ventures, among others, also contributed). Now, the company says it has raised another $43 million with the help of Siemens to close its Round G funding at $125 Million. That's money it will use to expand its charging network for electric cars, trucks, and buses in Europe. Siemens has been a ChargePoint investor since 2010, and supplies some of the company's DC charging technology. Furthermore, Ralf Christian, CEO of the Siemens Energy Management Division, has been appointed to ChargePoint's Board of Directors. "ChargePoint is committed to laying a foundation for the future of mobility and this latest investment by Siemens Energy Management will further catapult our vision of creating the most ubiquitous and easy-to-use charging network Europe has ever seen," says ChargePoint President and CEO Pasquale Romano. This week, ChargePoint also announced that it acquired GE's charging network, which includes 1,800 commercial charging spots and about 8,000 residential units. The move helps solidify the company's presence in the US, which complements its planned expansion across the Atlantic. GE customers will get access to ChargePoint's location, energy management, and usage tracking services. Earlier this year, ChargePoint announced that it would begin building 400-kW "Express Plus" chargers, which means that they'll be capable of charging vehicles at their fastest potential for years to come.